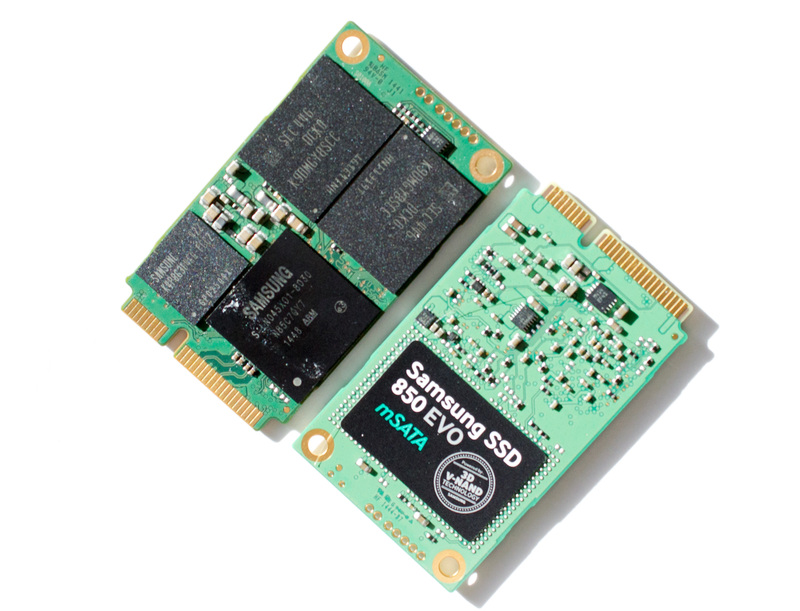 Four months ago Samsung introduced the world to TLC V-NAND in the form of SSD 850 EVO. It did well in our tests and showed that 3D NAND technology essentially brings TLC NAND to the level where planar MLC NAND stands today. The initial launch only included the most popular form factor in 2.5", but did not address the upgrade market where mSATA and M.2 are constantly growing in popularity. With today's release, Samsung is expanding the 850 EVO lineup with M.2 and mSATA models. 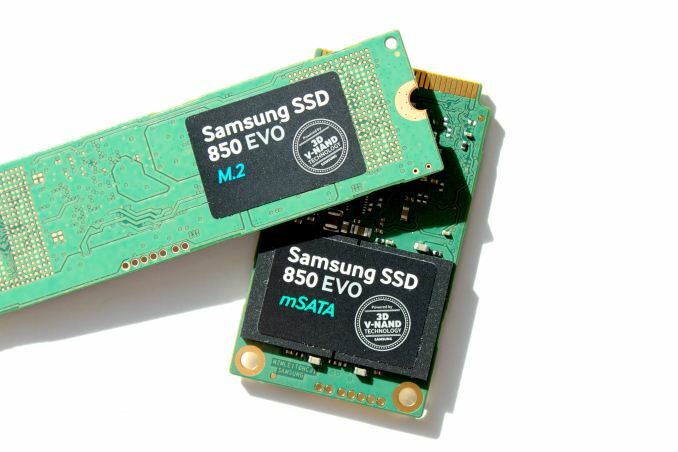 The move isn't really surprising because Samsung released an mSATA version of the SSD 840 EVO a bit over a year ago and when the 850 EVO was originally launched we were told that mSATA and M.2 models would follow later. The addition of M.2 is new to Samsung's retail lineup, but it makes a lot of sense given that many PC OEMs have switched from mSATA to M.2, and ultimately M.2 will be replacing mSATA in full. Architecturally the mSATA and M.2 models are not any different from their 2.5" sibling. The heart of the drives is still Samsung's own MGX controller (excluding the 1TB model, which is powered by the older MEX controller) and the NAND is 32-layer 128Gbit TLC (3-bit per cell) V-NAND that is manufactured using 40nm lithography. TurboWrite (Samsung's pseudo-SLC caching) is also included and the cache sizes have remained unchanged from the 2.5" model. DevSleep and TCG Opal 2.0 (eDrive) are both supported too and endurance comes in at a respectable 75TB for 120GB/250GB and 150TB for 500GB/1TB models. Given the similarity with the 2.5" model, I strongly suggest that you read our 850 EVO review for a full scope of TurboWrite, TLC V-NAND and other tidbits as I won't be covering those in detail in this review. Like its predecessor, the 850 EVO mSATA offers capacity of up to 1TB, which still remains the highest capacity mSATA drive in the industry. Samsung has a substantial lead in its NAND packaging technology because currently no-one else is shipping 16-die packages in high volume and by comparison Samsung has been doing this for quite some time now. I've heard Toshiba has some 16-die packages available, but the yields are very low and pricing comes in at about a dollar per gigabyte, whereas other packages are priced at ~30 cents per gigabyte. Micron also has 16-die packages on paper, but I've yet to see them used in any actual products. Unfortunately the M.2 version tops out at 500GB. The reason lies in the fact that the M.2 is a single-sided design, which only has room for two NAND packages. There are quite a few laptops that use the single-sided M.2 2280 form factor as it allows for thinner designs, but I still would have liked to see a 1TB double-sided version. 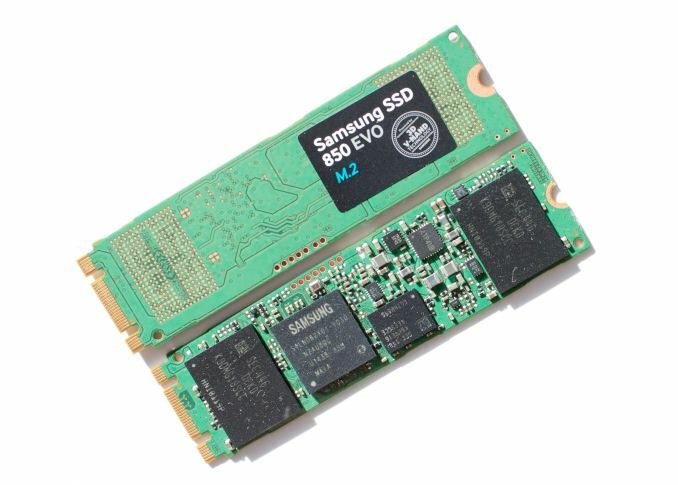 It is worth noting that while both PCIe and SATA based devices can have M.2 form factors, Samsung is only releasing the 850 EVO M.2 in the SATA format at this time. With a 128Gbit die and sixteen die per package, the maximum capacity for each package comes in at 256GiB, yielding a raw NAND capacity of 512GiB, of which 500GB is usable in the 850 EVO. Don't worry, it's not like there's also three different mainstream USB standards with two different plugs. Oh wait.